Two N.W.T. cabinet ministers have survived votes to remove them from cabinet, after an emotional and often heated debate of two non-confidence motions in the territory's Legislative Assembly Wednesday afternoon. 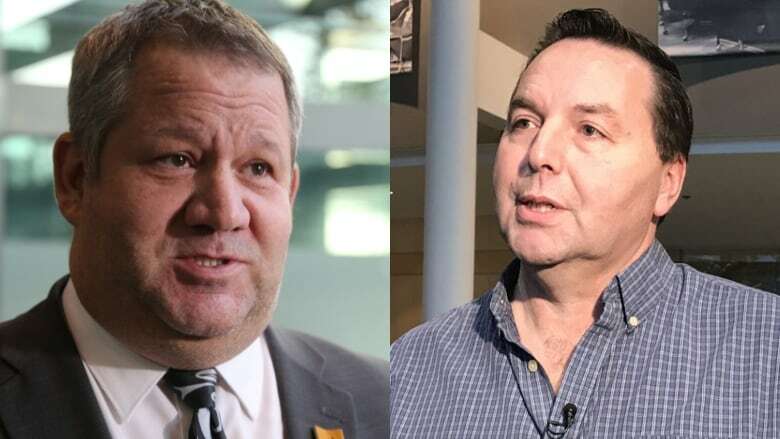 Both Infrastructure Minister Wally Schumann and Health Minister Glen Abernethy's fates were discussed Wednesday, after coming under fire from MLAs during the latest session in the legislature. Abernethy faced scrutiny following the release of an auditor general's report last week that shows children in the territory's care are worse off than four years ago, when the auditor general first issued a scathing report on children in care in the territory. Abernethy was also health minister at the time the first report was released. Abernethy won his vote by an 11 to 7 margin, with regular members Danny McNeely, Frederick Blake Jr., Julie Green, and Herb Nakimayak voting in support of him, as well as all of cabinet. MLAs Shane Thompson, Cory Vanthuyne, Kieron Testart, Kevin O'Reilly, Tom Beaulieu, R.J. Simpson, and Michael Nadli voted to remove Abernethy. 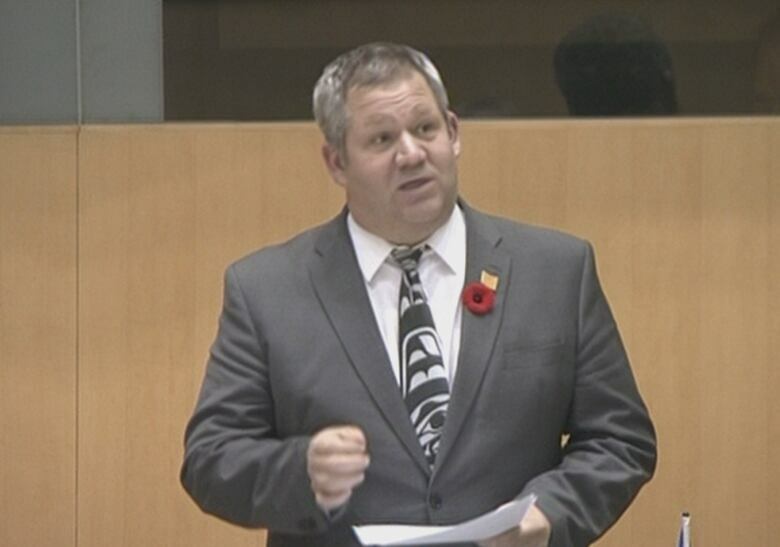 Nahendeh MLA Thompson, who proposed the motion to remove Abernethy, criticized Abernethy and the health department's handling of the 2014 audit, and said that he had failed to take significant concrete action. "The time for analysis has long passed," he said. "What we need now is leadership, action, and the immediate dedication of resources, not more studies, and not more action plans." Though Thompson acknowledged that the health portfolio is a "complex and difficult file," he said that highlighted the importance of taking action. "This is a source of regular members and residents' frustration," said Thompson. "We're just not seeing progress on these incredibly important files." The findings of the auditor general drew emotional reactions from some of the members, with many calling for a public apology by Abernethy and expressing dismay at the department's failure to improve their record on children in care. 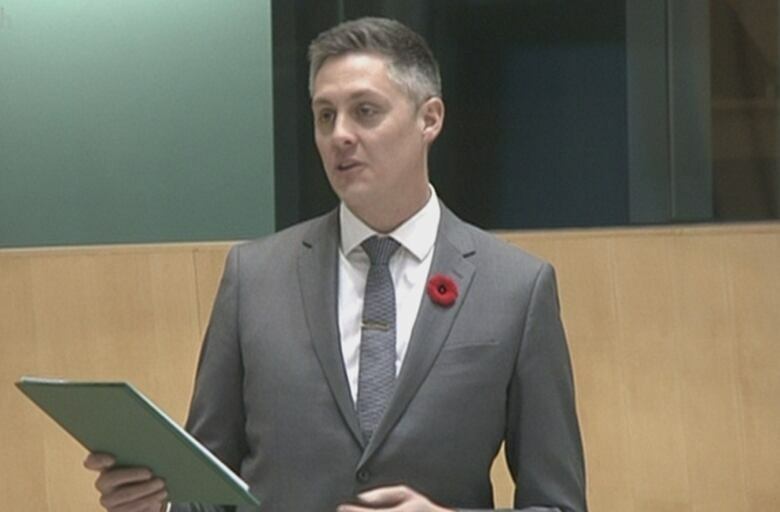 Hay River North MLA R.J. Simpson gave the most succinct and heated appeal to ouster Abernethy, saying that "he couldn't look [himself] in the mirror" if he didn't support the motion. "Shame on those who don't," he said. "I don't know how they sleep at night." Multiple MLAs who voted against the motion to remove Abernethy suggested that territory's Department of Health and Social Services was too big for one person to take on, suggesting splitting it into two separate departments. "We've had them amalgamated since 1995... Maybe we have to ask ourselves the question: 'is it working for our children, for our territory?" Mackenzie Delta MLA Frederick Blake Jr. asked. 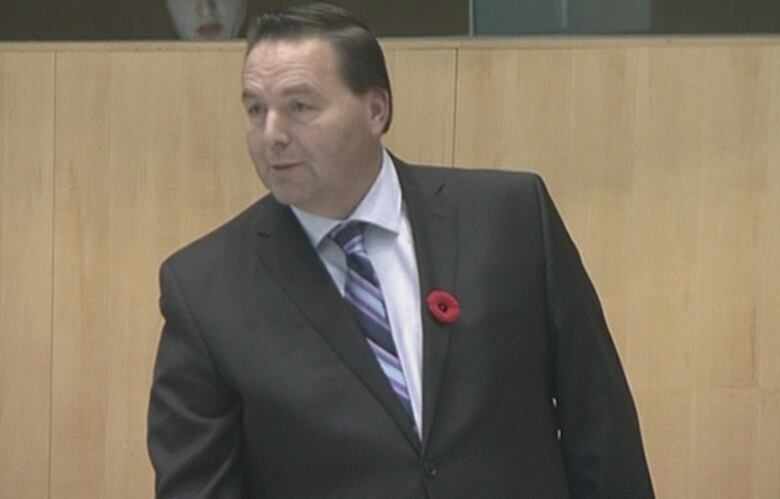 During his remarks, Abernethy gave an apology to the children and families of the N.W.T., and spoke about the difficulties faced by the territory's child and family services division, attempting to assure members that he was fighting to make necessary improvements, and that the department had begun work before the auditor general's report was released. "It appears that some members don't believe that I'm committed to the CFS file," said Abernethy. "I want to assure members that this is not the case. "I am 100 per cent committed to make the necessary systemic and principled changes to child and family services that will move it form a system of apprehension to one focused on prevention, while at the same time protecting children from risk and harm." "This is an area I'm incredibly passionate about, and feel like I could make a positive difference on this file for the people of the Northwest Territories." Earlier, Infrastructure Minister Wally Schumann won his vote by a 12 to 6 margin, with members largely voting along the same lines as Abernethy's vote, with only Vanthuyne switching his vote to support Schumann. The motion to remove Schumann was brought forth by Kam Lake MLA Testart, who gave a scathing statement criticizing his handling of an MTS barge cancellation earlier this month that left the N.W.T. community of Paulatuk and the Nunavut communities of Cambidge Bay and Kugluktuk without millions of pounds of much-needed cargo. Testart characterized Schumann as unwilling to take responsibility for the barge cancellation or to engage with the concerns of regular MLAs, and accused Schumann of prioritizing the needs of private industry over N.W.T. residents. "What I'm saying plainly, Mr. Speaker, is that the minister put the fiscal needs of the GNWT over the essential resupply of Arctic communities, which is, and has always been the principle goal of the government's purchase of MTS," said Testart. "At no point, the minister has stood up and taken personal responsibility for this failure, nor has he apologized for the residents who have missed out on this crucial delivery ... How does he feel when they are deprived of supplies and vehicles for an entire season? How does he 'sit there and take it?' Are they supposed to feed, clothe and heat themselves with his best intentions?" Notably, Herb Nakimayak, the MLA for Nunakput, who represents the community of Paulatuk, voted against the motion to remove Schumann, saying that the leadership from his region spoke to him prior to the debate and advised him on how to vote. However, Nakimayak urged premier Bob McLeod to examine the systemic issues that led to the failed barge service and the motion to remove Schumann. "The current structure that we have right now, which seems to be failing, is why we are right here, right now," he said. "I hope that the minister is more and more willing to work with regular members." In his statement, Schumann said that the he appreciates the issues raised by MLAs, saying "that's what this assembly's for." "MTS, I could stand here and defend it all day long ... so I'm not going to get into that debate," said Schumann. "But on the other side of it, the members have also brought forward other issues of concern." "I stand behind the decisions that I've made. Maybe they don't make everybody happy in this house." Non-confidence votes have been held several times in the history of the N.W.T. 's consensus government, most recently last year, when Louis Sebert survived a vote to be removed from cabinet. Very few attempts to remove ministers in recent years have been successful. A 2008 motion to remove then-Sahtu MLA Norman Yakeleya did succeed after he was stripped of his portfolios following being charged with sexual assault. He was ultimately found not guilty and continued to serve as a regular MLA. A motion put forward to remove then-premier Floyd Roland and his entire cabinet in 2009 failed in a narrow vote. In 2004, then-MLA Henry Zoe lost a non-confidence vote after being overheard making disparaging comments about Newfoundlanders while drinking at Yellowknife's local Legion. In 2001, then-premier Stephen Kakfwi survived two non-confidence votes — one aimed at him, and the other at his entire cabinet. On The Trailbreaker Wednesday morning, he urged regular members to not oust the ministers, saying that it would be very difficult for a new minister to get up to speed with just a year left until the next territorial election. "I don't remember any minister ever being slack, or intentionally doing something to intentionally subvert the public interest, he said. "We need to keep in mind the public interest is difficult from your personal, political interest. And this is always fraught with one pretending to be the other." "For many MLAs, they develop a rapport with individual ministers, and it takes a while. To say all of a sudden there's something to be served by changing ministers ... is a bit far-fetched for I think some of the communities, and some of the MLAs." 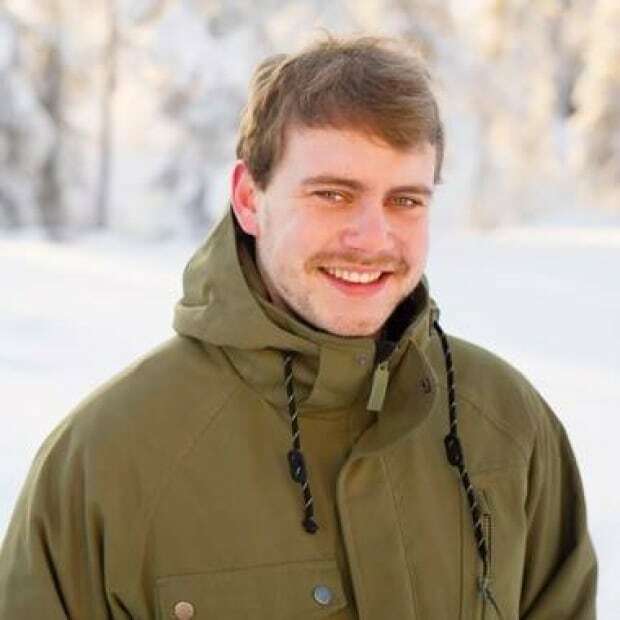 Garrett Hinchey is a Métis journalist based in his hometown of Yellowknife, Northwest Territories, where has worked since 2014. He has worked as CBC North's social media editor, copy editor, and as a multimedia reporter.